An entire mackerel, grilled like it's done at the seashore in Fukui. This is an impressive dish, cooked fisherman-style. High-class whitefish from the Sea of Japan, fatty and tasty. 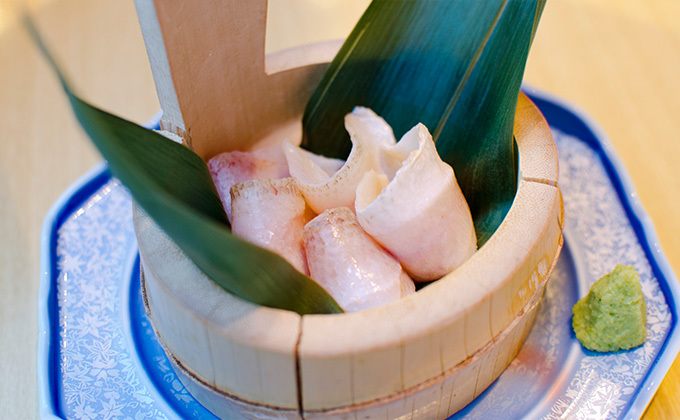 Taro boiled with the skin on has a distinctively sticky texture and does not fall apart when boiled. 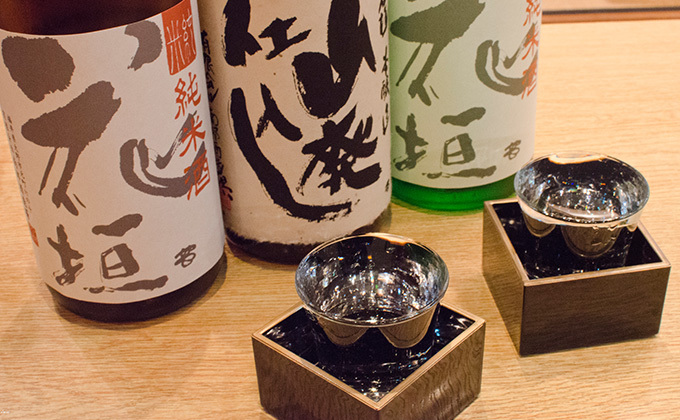 The most famous Japanese sake in Fukui was once presented to the royal family. and can be recommended to wine lovers. 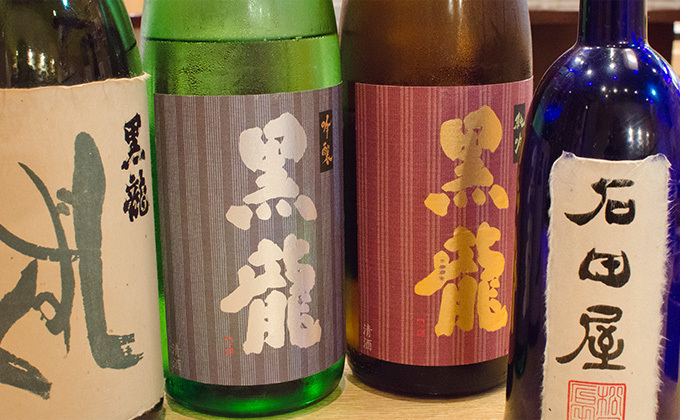 The driest Japanese sake in this restaurant’s lineup has been awarded a prize overseas, as well as in Japan. A dish of squid processed in Echizen and seared at the restaurant. Sablefish with white flesh is sliced and marinated with soy sauce, mirin and sake. Sometimes called “Fatty Whitefish,” this grilled Rosy Sea Bass has an elegant taste and is treated as a high-class fish. 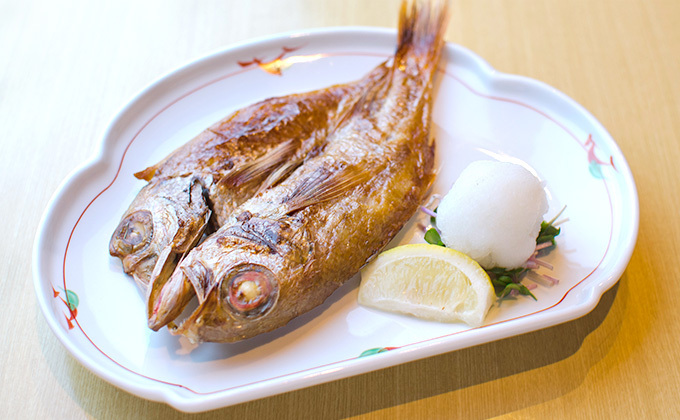 “Hatahata” is a fish with tender white flesh. 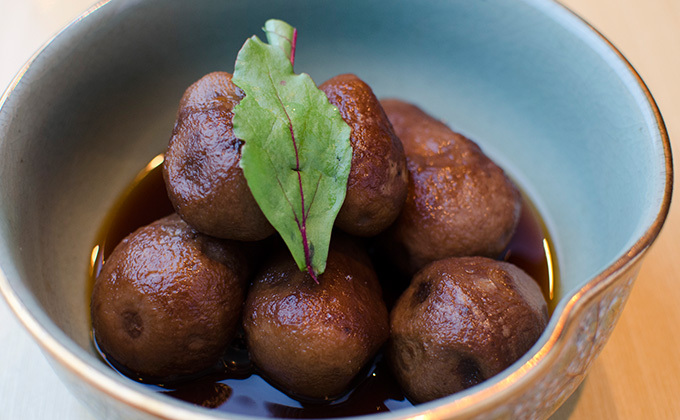 Ours is marinated with soy sauce, mirin and sake before being seared. 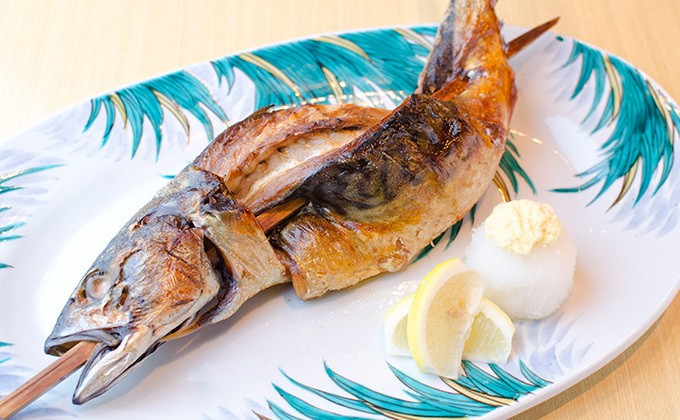 This whole-grilled mackerel, grilled like it's done at the seashore in Fukui, is a tremendous dish served fisherman-style. 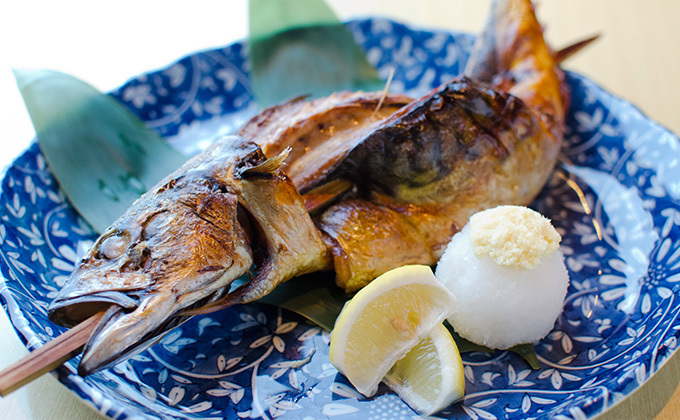 A simple dish of fatty mackerel (blueback) grilled with salt. Mackerel pickled in vinegar is seared and served on an Echizen roof tile. “Heshiko” means “foodstuff pickled in rice bran” in a dialect of Hokuriku, so this is a dish of mackerel heshiko seared lightly. 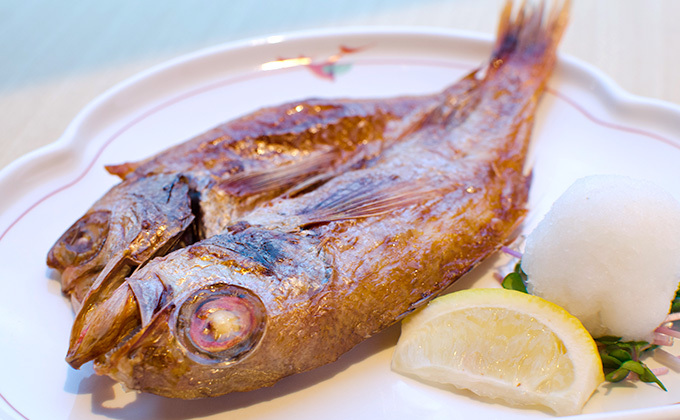 Sea bream cut open and pickled in vinegar is traditionally kept on hand in the homes of Wakasa. 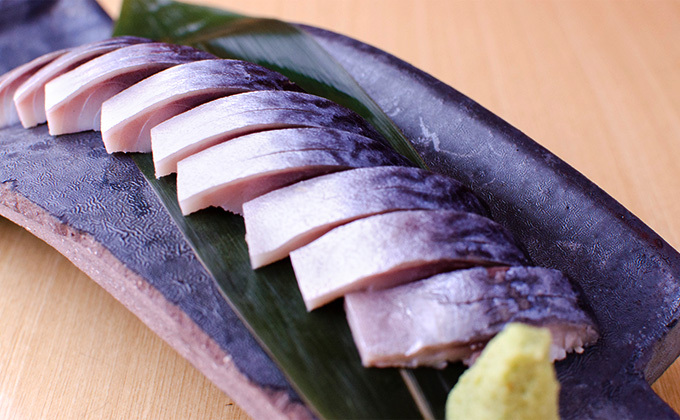 Taro boiled with the skin on has a distinctive, sticky feature, and does not fall apart when boiled. goes exceptionally well with sake. Laver taken from the seashore is seasoned with soy sauce and mirin.